Vegans Are Upset This Super Bowl Ad Called Their Meals "The Worst Thing Ever"
For a group of people who are all about peace and harmony between living organisms, vegans tend to get extremely vicious whenever their lifestyle and way of thinking are criticized. 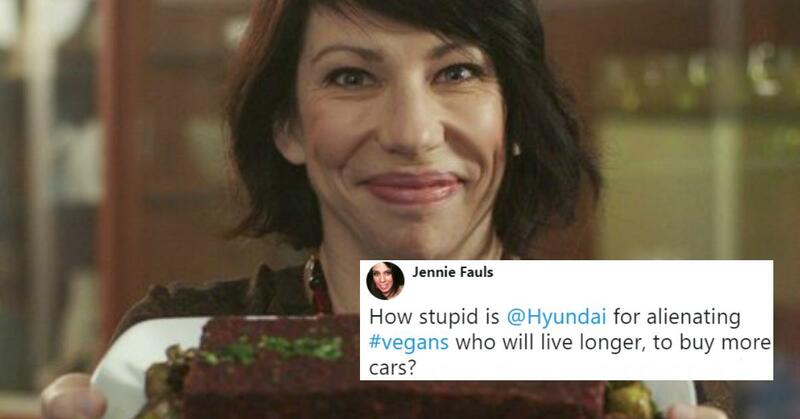 So many are unsurprised by the shade Hyundai tossed towards veganism during a Super Bowl advertisement starring Jason Bateman. In the commercial, the Ozarks star plays an elevator operator who takes riders on a tour of descending agony: think the David S. Pumpkins sketch but without Tom Hanks and scary movie references. No, it focuses on the more tedious, soul-sucking mundane experiences human beings create for themselves. Like dental surgery, jury duty, being in the middle seat of an airplane, giving your children the "birds and the bees" talk, and buying a car at a dealership. 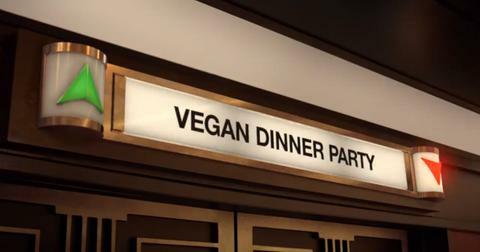 The big reveal is that shopping for a Hyundai isn't like your ordinary car-purchasing experience (spoiler alert: it is), but before that happens, a vegan dinner party was painted as one of the "worst things ever" that people are forced to endure. After getting off at the stop, riders are presented with this ominous sign, and then, a sight that freaked out everyone in the car: a woman proudly rocking a "beetloaf" she was more than happy to show off to guests. Jason Bateman is one of the most likable guys in the world, surpassing even Matt Damon on the Mustafa-actor-likability-scale, but even his countenance couldn't save Hyundai from the vegan wrath reserved for anyone who dares make fun of the fact that they take soybeans and try to make them look and taste like animals. One group in particular wasn't having any of Hyundai's commercial. Could you guess who? 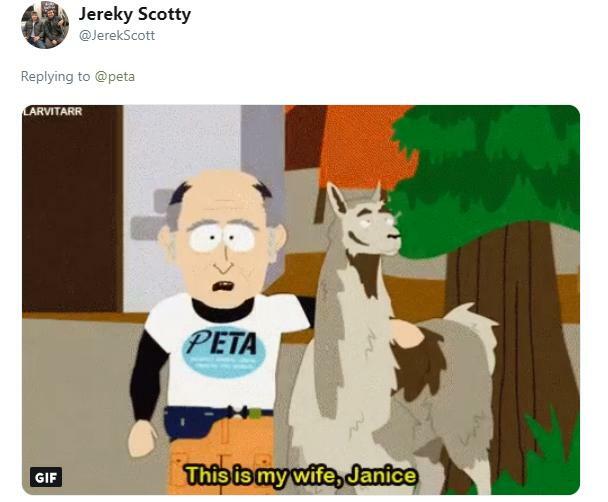 If you said PETA, you're right! 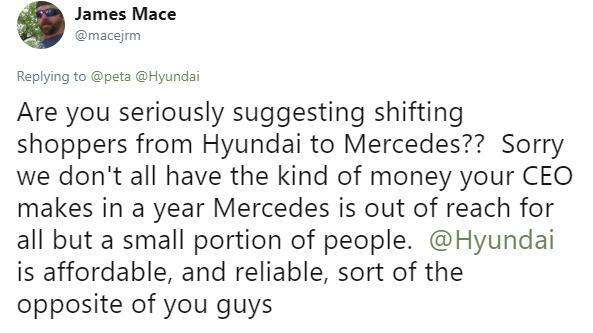 The self-proclaimed animal rights group that's been schooled on more than one occasion tried clapping back at Hyundai by saying people should just go and buy a Mercedes instead. And while I'd argue Mercedes had probably the best commercial of the Super Bowl this year, I'm gonna go out on a limb and say there's not much intersection between people trying to buy a new Benz versus a new Hyundai. 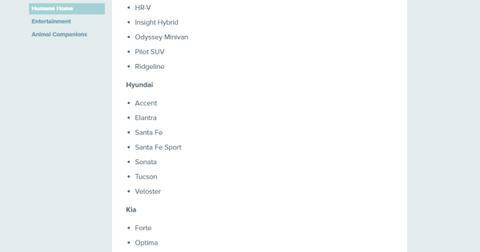 Aside from the fact that a Mercedes will cost you probably double what a Hyundai would, PETA themselves listed Hyundai as one of their "vegan-friendly" car brands on their own website, pointing out that seven of the auto manufacturer's models rock vegan interior options. Tons of others hopped on Twitter to express their displeasure with the auto retailer's commercial. 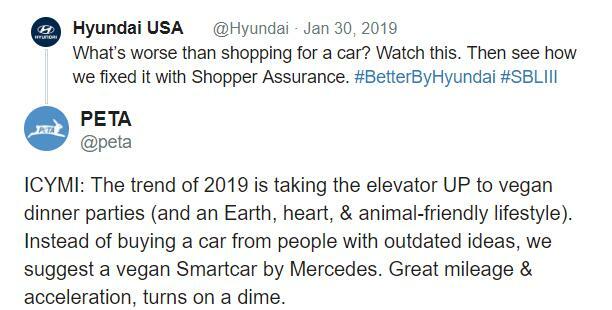 Some said they'd never buy another Hyundai again, and others demanded the Korean manufacturer apologize for taking a cheap shot at their lifestyle. Of course, like any good thread, some people were there for the jokes and the jokes alone. 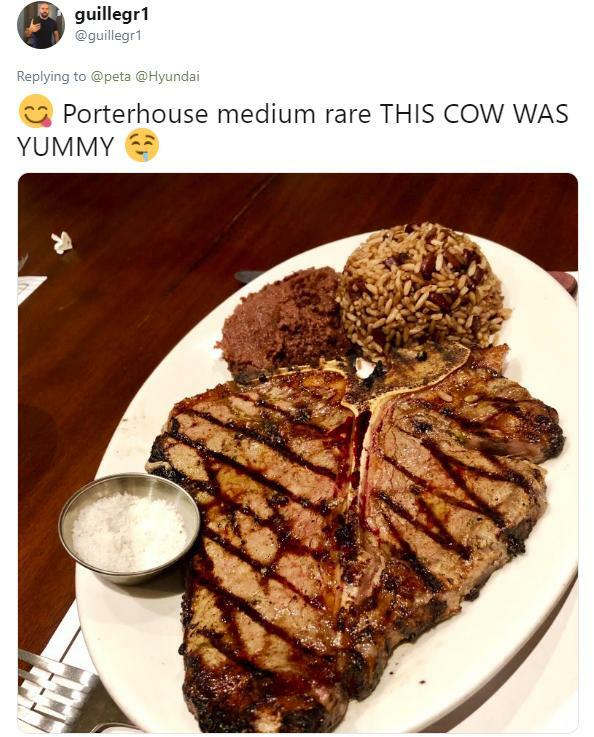 For example, some folks pointed out that PETA's choice for cars isn't really all that eco-friendly when compared to most of Hyundai's offerings. 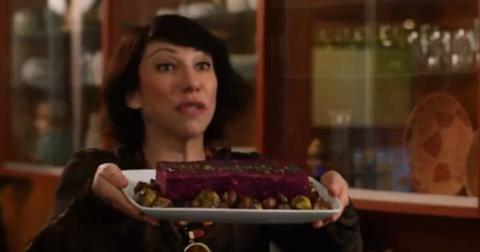 The best part of the whole online kerfuffle is that Hyundai actually responded to all of the vegans out there by saying that they actually love vegan food, and even provided a detailed recipe for the beetloaf in their commercial. Either they've got a crack PR person who's a quick-thinking son-of-a-gun, or it's almost as if they planned for some outrage at the joke and already had a response planned. Either way, great commercial, Hyundai peeps. Here are a few other fan favorites below that got people talking.